ਕੈਲੀਫੋਰਨੀਆ ਦੇ ਮਲੀਬੂ ਵਿੱਚ ਹਾਪਕਿਨਸ ਰਹਿੰਦੇ ਹਨ। ਉਹ ਆਪਨੇ ਫ਼ਿਲਮ ਕੈਰੀਅਰ ਦਾ ਪਿੱਛਾ ਕਰਨ ਲਈ 1970 ਦੇ ਦਹਾਕੇ ਦੇ ਅਖੀਰ ਵਿਚ ਇਕ ਵਾਰ ਅਮਰੀਕਾ ਚਲੇ ਗਏ ਸਨ, ਪਰ 1980 ਦੇ ਦਹਾਕੇ ਦੇ ਅੰਤ ਵਿਚ ਉਹ ਲੰਦਨ ਪਰਤਿਆ। ਪਰ, ਉਸਨੇ 1990 ਦੇ ਸਫਲਤਾ ਦੇ ਬਾਅਦ ਅਮਰੀਕਾ ਵਾਪਸ ਜਾਣ ਦਾ ਫੈਸਲਾ ਕੀਤਾ। ਆਪਣੀ ਬ੍ਰਿਟਿਸ਼ ਨਾਗਰਿਕਤਾ ਨੂੰ ਕਾਇਮ ਰੱਖਣਾ, ਉਹ 12 ਅਪ੍ਰੈਲ 2000 ਨੂੰ ਇਕ ਪ੍ਰਵਾਸੀ ਅਮਰੀਕੀ ਨਾਗਰਿਕ ਬਣ ਗਏ, ਜਿਸ ਵਿਚ ਹੌਪਕਿੰਸ ਨੇ ਕਿਹਾ: "ਮੇਰੇ ਕੋਲ ਦੋਹਰੀ ਨਾਗਰਿਕਤਾ ਹੈ।"
↑ "Hopkins 'greatest British actor'". BBC News Online. London. 16 August 2005. Archived from the original on 15 January 2009. Retrieved 29 October 2008. 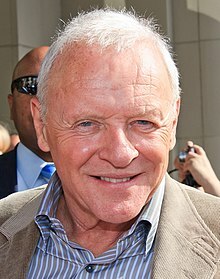 ↑ "Anthony Hopkins Biography". Tiscali.co.uk. 29 October 2008. Archived from the original on 22 December 2008. Retrieved 29 October 2008. ↑ Anthony Hopkins biography, BBC. Retrieved 2 January 2010. ↑ 17 October 2013. "Max to Join Sheen as Freeman of Borough". Western Mail (Cardiff, Wales). ↑ "Anthony Hopkins's letter to Breaking Bad star Bryan Cranston", The Guardian. Retrieved 31 December 2015. ↑ "Hannibal star Sir Anthony Hopkins makes a trek back to his childhood home in Margam", South Wales Evening Post. Retrieved 8 January 2013. ↑ Bruce Fessier 2 January 2017 (2 January 2017). "'Westworld' star Anthony Hopkins explores consciousness". "The Desert Sun". Retrieved 8 January 2017. ↑ Turner, Robin (20 October 2008). "Raucous approval for Sir Anthony Hopkins' music". Western Mail. Media Wales. Archived from the original on 5 May 2013. Retrieved 11 October 2012.